So I'll try to #UnmaskMoghalu in the light of this MISLEADING STATEMENT. Since we are in the election campaign season, and the fact that you are also coming forth to lead us in the highest elected office in Nigeria, it is pertinent to #UnmaskMoghalu so as to see you within the context of your statement. Let's #FactCheck what you said on herdsmen Sir. 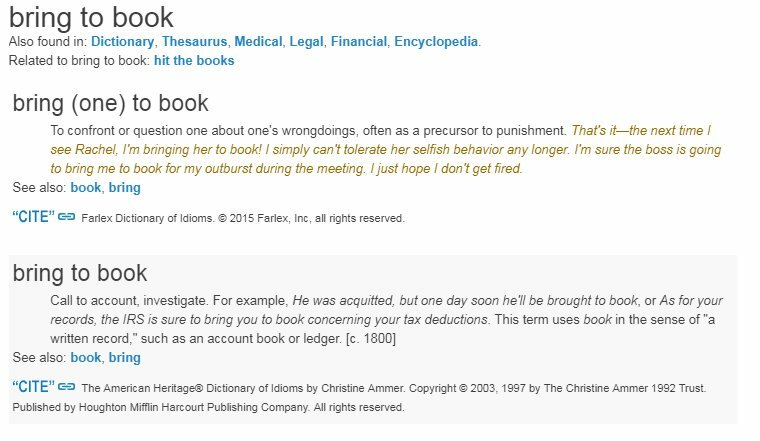 Checking English Dictionary so as not to misrepresent what you said, "To bring to book" as an idiomatic expression "To confront or question one about one's wrongdoings, often as a precursor to punishment". Are you as a Presidential aspirant saying @HQNigerianArmy was LYING with ds report? If yes, can you give us your authentic report to #FactCheck this News? 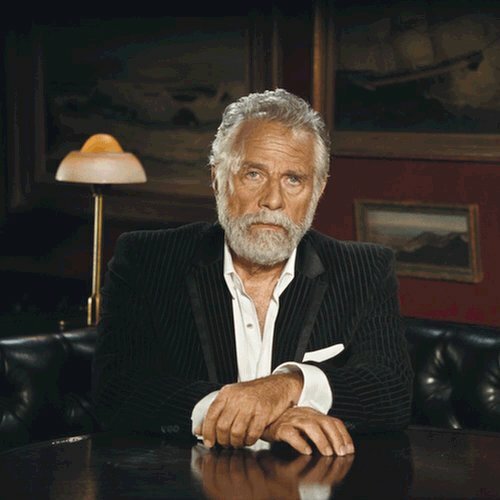 Did you just say "I am yet to see one killer herdsman brought to book"? 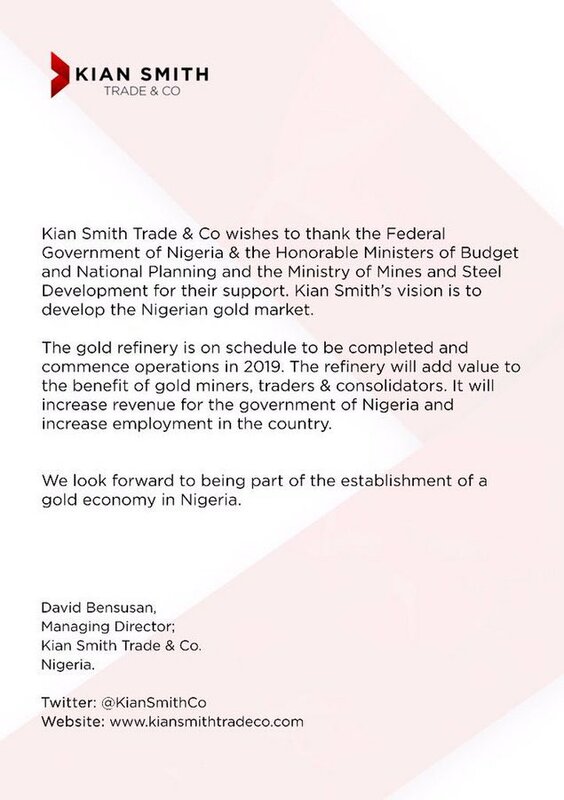 Sir, apologize to Nigerians for ds blatant LIE. "Three herdsmen jailed for open grazing in Benue"
If "brought to book" means "Call to account, investigate" etc, then you have deliberately misled your followers. Kindly apologize. "Firearms possession: 2 Fulani herdsmen jailed 20 years"
Did you say you are YET TO SEE ONE killer herdsman brought to book? 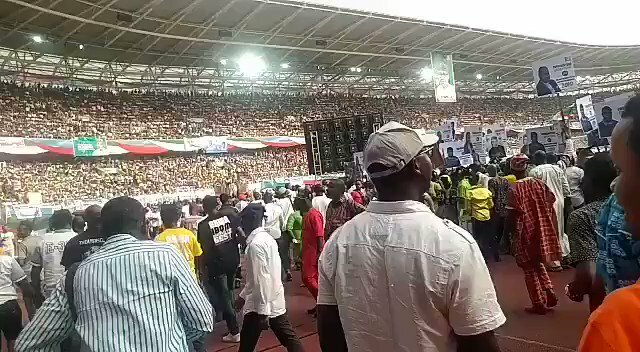 On Wednesday, 16th May 2018, you said that nine million Nigerians lost their jobs since the present government of Muhammadu Buhari came to power in 2015. This you said in Awka, Anambra State. 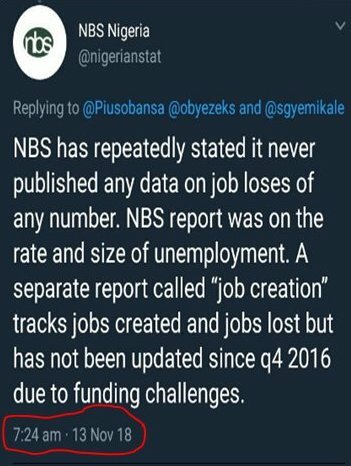 Despite the fact that @nigerianstat has repeatedly refuted your claim that they never released any data of "9 million losing their job", you've been going everywhere to give Nigerians this false information. Sir, why are you misleading your followers deliberately? When did "UNEMPLOYED = JOB LOSS"? 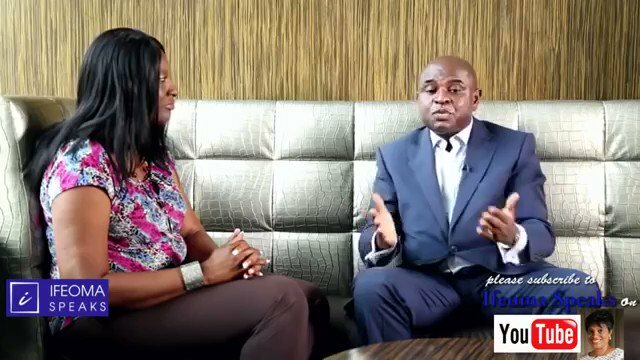 For an acclaimed ECONOMIST to like you Sir @MoghaluKingsley to tell Nigerians that "UNEMPLOYMENT = JOB LOSS", how then do we define or redefine EDUCATION in Nigeria? 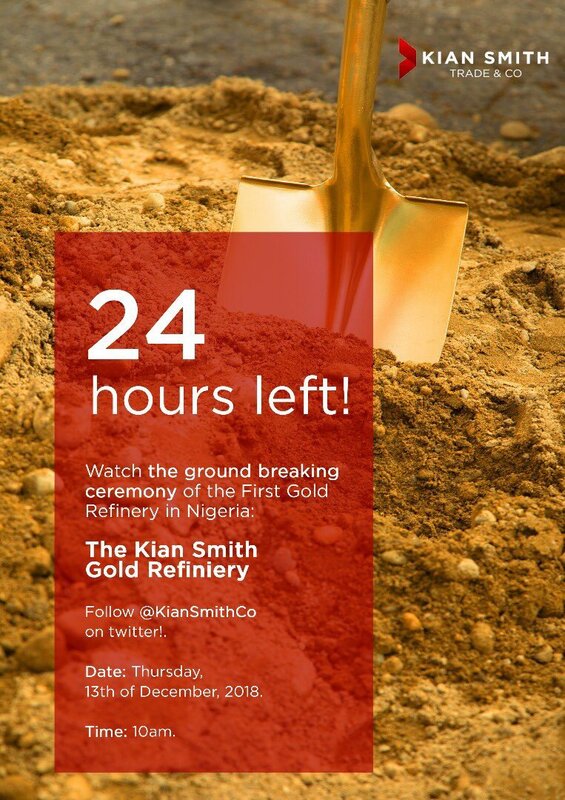 How can you be misleading Nigerians especially in your supposed area of expertise? You said 87M Nigerians are in poverty, Okay. When did 112 million Nigerians reported to be in POVERTY? 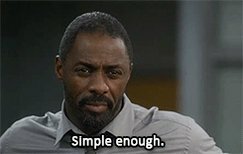 What should we call people in power as at then? 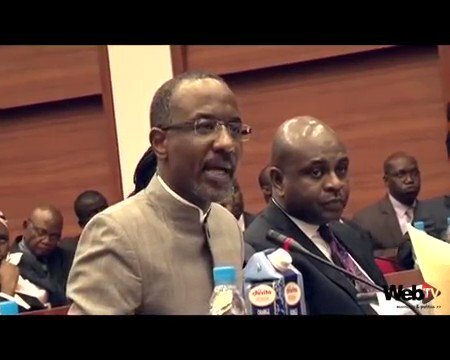 When Nigeria was being raped by Jonathan administration, & CBN Gov Sanusi was on the side of Nigerians, history recorded where you stood: You stood AGAINST us! “The lesson that can be drawn from it is the limits of central bank independence.. 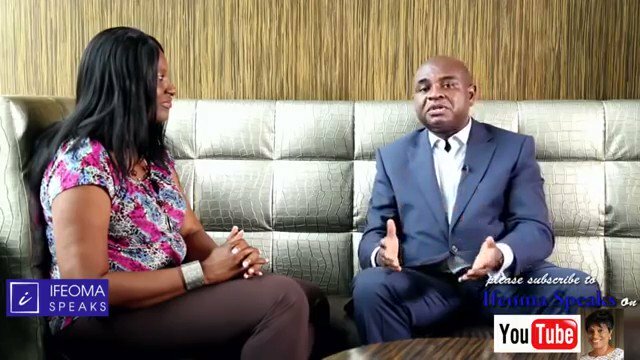 There is a very thin line between central bank independence and… political posturing,” Moghalu said. 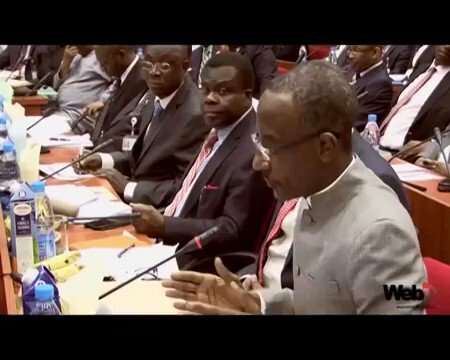 Where in this video did SLS make a "political posturing"? Why did you stnad against Nigerians? 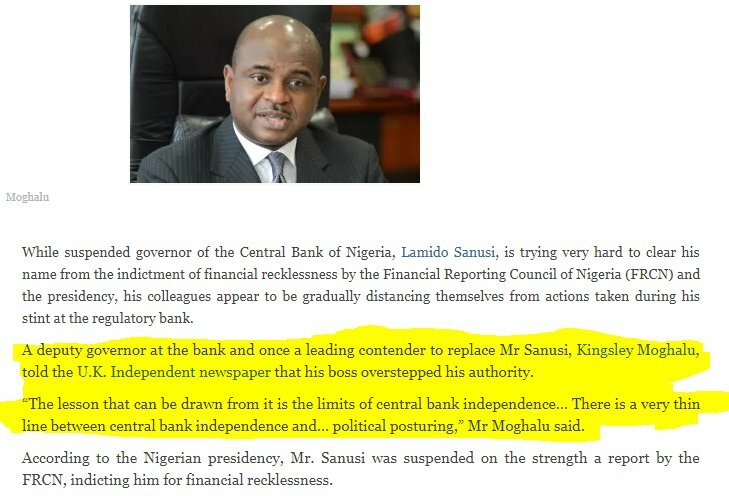 Dear Sir @MoghaluKingsley where did SLS make "political posturing" all through this period of exposing fraud? Why did you choose to stand against your boss and Nigerians? Why did you defend the fraud by keeping MUTE? 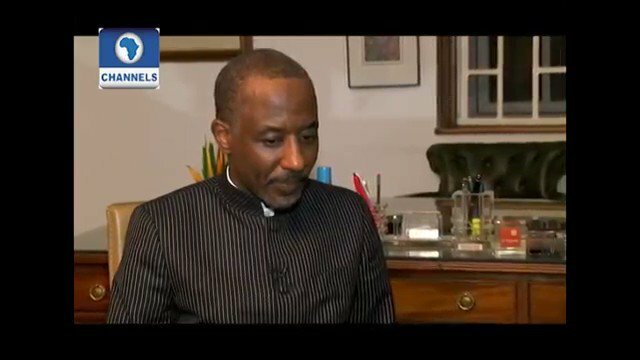 Sanusi Lamido Sanusi explained his role and how Nigerians were being shortchanged. 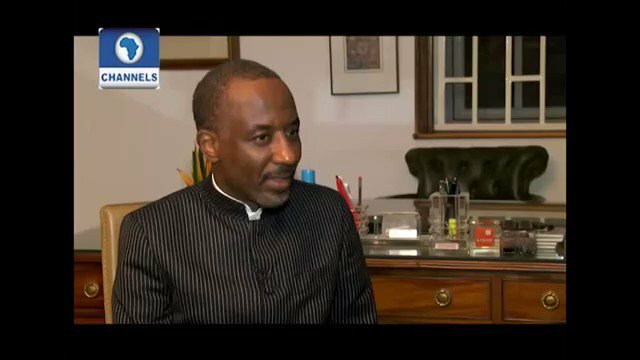 WHy have you not deemed it fit to tell Nigerians why you stood against your boss for exposing such huge corruption under Jonathan? Why did you call it "political posturing"? In and out of Government, SLS had maintained that Nigeria was raped in that scandal where you stood against your boss, backstabbing him by saying he was making a "political posture". Till date, you have not said anything about that financial recklessness. Not that anything will really matter as I #UnmaskMoghalu before #NigeriaDecides2019. I only chose to do so because of your consistent misleading statement all the while. We have WEIGHED you Sir, you are part of the mess of the past that we will NEVER SEE AGAIN. Just a little #BrainReset is needed for some of you saying "APC and PDP are the same"
PDP LED Nigeria for 16 years, APC is leading Nigeria for 4 years now. The decision of what direction any NATION will go is that of the C-in-C of that Country per time. The direction Nigeria went in 16 years was that of @OfficialPDPNig Presidents (Obasanjo, Y'aradu, Jonathan). And I said: Less than 50 days, I will remind you here......You know I will! I hope to update it till Feb 2019. It's a mental illness that's peculiar to COMPULSIVE LIARS. 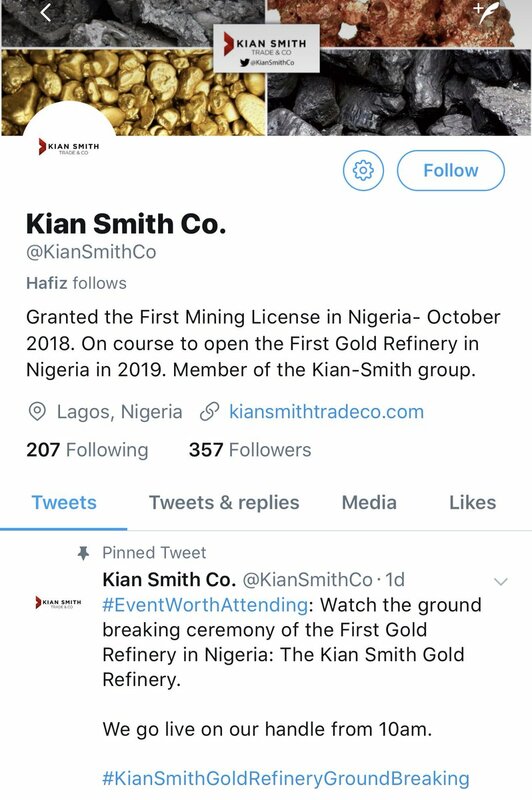 So, #Nigeria issued its first-ever gold refining license in October 2018, to Kian Smith Limited @KianSmithCo. This morning in Ogun State. Just in August AB InBev opened $250m Brewery. Feb 2018 Nestle opened new Milo Factory. Dec 2017 Petrolex opened 300m-Litre Tank Farm. Aso Rock picked on the bankers of the opposition in a busy week that also saw it acting coy on personal civil liberties and rolling the carpet for two of the EU’s most powerful leaders. All these occurred while cocoa simply could not find its way to the country’s main ports. @officialEFCC’s interest in @ZenithBank’s transactions involving @riversstategov signals a willingness on the part of @MBuhari's administration to focus on the latter given its pre-eminence in the political architecture of the opposition @OfficialPDPNig. @riversstategov has emerged as the hub and financial nerve centre of @OfficialPDPNig – a position that has seen its governor, @Gov_Wike, as one of the most important figures within the party's ranks, if not its most influential kingmaker. Now that the episodes have ocurred a few times, my rational mind recognises the world is not real. I know that once I go back to sleep and wake again, everything will be alright. 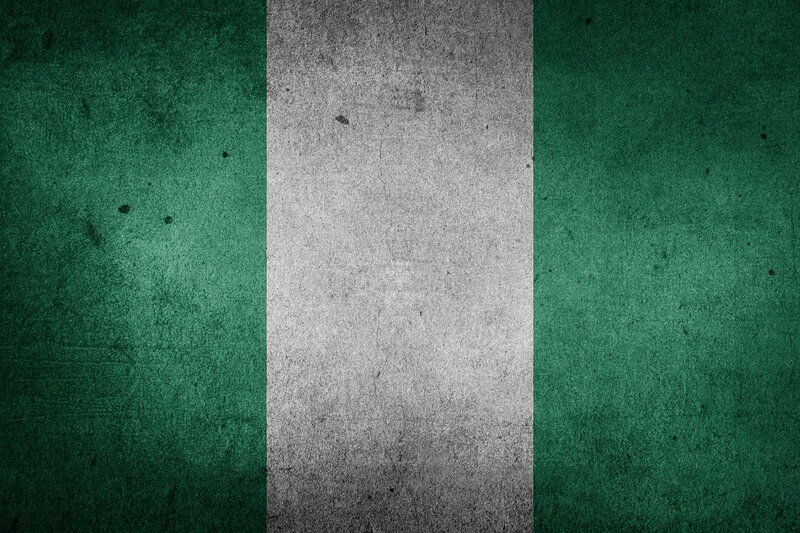 #Nigeria is like my dreams. The only difference is things do not get better when I wake up. When I was younger, during the harsh days of SAP & the uncertain days of military rule, I was shielded from the horrors because I had good parents. Parents create the world their children live in. However, now that I'm an adult, this Nigerian world I live in is all too real. The report found that the methods used by the CIA were more brutal than the agency acknowledged either to Bush administration officials or to the public. "